Hazzan Arthur Katlin is celebrating his 25TH anniversary with Adath Israel Congregation. He is a graduate of University of Maryland and Jewish Theological Seminary where he received Masters degrees in Sacred Music and Jewish Education. He also has certification from Gratz College in Special Education. He is the past chair of the New Jersey Region of the Cantors Assembly and the New Jersey Cantors Concert Ensemble and serves as mentor/liaison between the Cantors Assembly and the H.L. 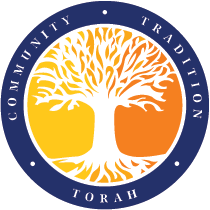 Miller Cantorial School for Jewish Theological Seminary. Hazzan Katlin performs all cantorial duties, prepares B’nai Mitzvah students young and old, conducts the adult and junior choirs, and is the musical liaison for all musical and cultural events. He is an active teacher in the religious school and offers diverse classes in Adult Education i.e. musical eyewitness to Jewish History, “Shabbat Unwrapped” -liturgy of the Shabbat service, history of song in Israel, Jewish influences in Broadway and Film, Hebrew Reading and how to chant Torah and Haftorah. He is also involved in programming in many local Jewish community agencies. He yearly produces, and serves as artistic consultant on yearly musical venues that enrich Adath’s cultural life such as Raise the Ruach, Purim Shpiels, Instrumental Kabbalat Shabbat. He reaches out to the community providing appropriate Jewish musical repertoire to the choral programs and shares his knowledge and experience to broaden their cultural horizon. The biggest joy for Hazzan Katlin is in seeing the comfort his students have in being prayer leaders and being involved in synagogue life. He gains great satisfaction in seeing his students blossom through the B’nai mitzvah process. Hazzan Katlin and his wife Evette are the proud parents of Aaron and Shara.